I don’t normally blog on Sundays, but this being a long weekend (at least here in the UK) and with a few posts already programmed for next week (and a few more reviews making their way), I thought I might try. I haven’t been talking about my books much because… Well, marketing is not my thing, and because I read so many great books that I know what the offer is like and putting my hand up and saying “Me, me, me” is not me. I keep thinking some day I’ll come up with some clever and original idea to promote my books, but so far it has not happened. In the meantime, I’m keeping busy with other things (not a lot of writing, although some, some projects that are waiting on feedback, others that are battling for attention, some that need more research…), including the teaching (waiting to hear about next term), translations, tidying up the place (I want to sell my house and leave), and reading and reviewing. Plenty of that. A woman shot dead. No enemies, no motive, only a story about how she swapped bodies with another woman found on her computer. The other woman in the story, the owner of the swapped body, goes into labour and won’t talk. If you are into audiobooks, or know somebody who is, some of my other books are also available in that format. You can check here. As this is the third book in the series, in case you are intrigued but don’t want to start there, the prequel of the series is available FREE. I leave you a reminder. How far would a writer go for a killer story? This is the question psychiatrist Mary Miller must answer to solve the first mystery/thriller of her career. You can get to know the main characters of this psychological thriller series for FREE and test your own acumen and intuition in this novella about the price of ambition. Dr Mary Miller is a young psychiatrist suffering a crisis of vocation. Her friend Phil, a criminalist lawyer working in New York, invites her to visit him and consult on the case of a writer accused of a serious assault. His victim had been harassing him and accusing him of stealing his story, which he’d transformed into a best-selling book. The author denies the allegation and claims it was self-defense. When the victim dies, things get complicated. The threshold between truth and fiction becomes blurred and secrets and lies unfold. Escaping Psychiatry. Beginnings is the prequel to Escaping Psychiatry a volume collecting three stories where Mary and her psychiatric expertise are called to help in a variety of cases, from religious and race affairs to the murder of a policeman, and in the last case, she gets closer than ever to a serial killer. If you enjoy this novella, don’t forget to check Mary’s further adventures. And there are more to come. The book is also available in many other online stores, including Google (although they change their prices at will, that is why I haven’t included the link in case it is not free there), so do check wherever you get your e-books as it’s likely to be there. And, as I’ve talked about the other two books in the series, well, I had to mention the first one (yes, this was written before the prequel and the first story, ‘Cannon Fodder’ is over twenty years old). ‘Escaping Psychiatry’ is a collection of three stories in the psychological thriller genre with the same protagonist, Mary, a psychiatrist, and writer. She is trying to develop her literary career but circumstances and friends conspire to keep dragging her back to psychiatry. In ‘Cannon Fodder’ Mary has to assess Cain, an African-American man accused of inciting a religious riot when he claimed that he could hear God and God was black. He might not be mad, but Mary is sure he’s hiding something. ‘Teamwork’ sees Mary hoodwinked into offering therapy to Justin, a policeman feeling guilty after his partner and ersatz father was killed on-duty. Before Mary can extricate herself from the case, things get personal. In ‘Memory’ Mary goes missing after an incident with Phil, who is manic as he hasn’t been taking his medication. When she is found, she has been the victim of a horrific crime, but they soon discover she was luckier than they had realised. The epilogue revisits Mary at the point of the trial of her abductor and sees what changes have taken place in her life. Will she finally manage to Escape Psychiatry? Thanks very much for being there, for reading, and remember to like, share, comment, click and REVIEW any books you read. And enjoy a wonderful weekend! Ah, and if you’ve never used Audible, you can get a free audio with your trial (and the lucky author whose audiobook you choose gets a bonus too). Have fun! Dear Olga, believe me I get it, but you never sound like *me me me “. This is a great post! It is exciting to get a snip of the audio book. This is such a fantastic series. Everything about it is so professionally done. It’s well worth blogging about! Hugs. Thanks, Teagan. You’re very kind. I think getting a female narrator was the right decision. Oh, when I bore myself with promotion I think it’s time to stop. Have a great Sunday. Another thing I find, is that narrators often use inflection and other devices at places in a book where my own mind would not do so. Just a personal thing, and probably why I rarely listen to them. I hope that this finds you new outlets, and increases sales and awareness, Olga. Thanks, Pete. Indeed a lot of well-known actors do narration (after all is acting. I saw Michael Sheen was doing narration too a few days back). The narrator for the first book in the series (that is how I got started with producing audiobooks) is an Irish actor. The problem is going to be that whichever person does it, it might or might not match up whatever we think in our heads. I’ve seen that some fans of audiobooks follow narrators rather than authors (they like the way the person narrates the book and are not always so concerned about the material itself) and I guess it makes sense. I listen to books, but rarely in audiobook format. What I tend to do is use the speech to text option in the Kindle e-book, and that’s an automated computerised voice, but I find it less distracting than some narrators (and it does not have much of an accent) although sometimes it might read some words wrong… (Although that happens with people too). When my goddaughter was visiting, I was sharing with her the audiobooks (she’s Spanish), and she finds American accents easier to understand than British, so I guess for language learners things might be different. I think any way of trying to make sure that my books can reach a wider public is worth trying, although it’s very much luck. Thanks for your good wishes and enjoy the rest of the bank holiday weekend. Thanks, Sarah! Enjoy the rest of the bank holiday weekend! Congratulations, Olga! Having audio versions of your books is a smart move. Though it was just a taste, I liked what I heard. Thanks very much, Jo Anne. I try everything and it seems lots of people these days prefer audiobooks, so it’s well worth a go. I did really enjoy Kathy’s narration (it is a fascinating thing to hear the book read by somebody else too). All the best. Thanks, Chuck. You’re very kind. I volunteer at a radio station and don’t mind it that much, but you’re right, I know every hour of finished audio involves many hours of work (as you have to edit, etc). Some people make studios in their own homes and have the proper equipment, and others hire a studio (but I think it can be quite expensive. An actor I knew recorded at home and then used the studio for the final edits). ACX offers the option of splitting royalties with the narrator, although you can also choose to pay for the recording (and the rates vary depending on how well known the narrator is, as you can imagine. Famous actors normally will only work for big publishing houses, but of course they can pick and choose). It is quite an experience to hear your own characters talking, that’s for sure. Good luck and thanks again! I think reaching the happy medium of promoting without getting repetitive is difficult, especially when one has been blogging and publishing for a while. Have a great week, Debby! Any time! (I’m sure I’ve shared one or two posts about audios a while back but I’m not sure I’ve given a lot of detail. One of the problems with ACX is that to be able to ‘produce’ an audiobook with them you need to fulfill certain requirements. I remember when I tried to upload my first audiobook, I couldn’t because at the time you had to be in the US but they are expanding to cover more areas all the time). 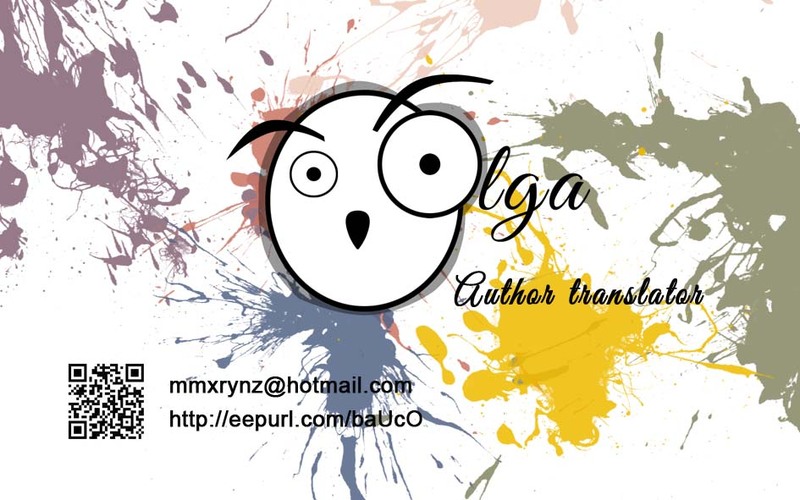 Lovely to read more about your books, Olga, you need to tell us more about them. I love audio books and I will look for this one on Audible. Thanks very much, Robbie and have a great week! Thanks very much Marje! They are handy for combining ‘reading’ with other things, like chores, driving, going for a walk, exercising… These days when we have so many calls on our time it’s good to try new things, although they’ve been around, in one format or other, for a long time. Thanks, Inese. You’re a star. I’ve written another story with Mary as the protagonist but it’s in combination with a series by another author, and I’m waiting for feedback, so it might be a while. Have a great rest of the week! Thanks, Inese. I want to check it out and perhaps change the first chapter a little bit when I finish with the translation I’m working on at the moment, but if you want to read an early version, I’ll keep you posted (if the other writer decides the book does not work for him, I’ll still publish it, but I’ll have to make some changes to the names of some of the characters). I think I’ve come up with quite an interesting baddie. I am sure you have 🙂 Hope the other author is happy, but if not, just go on and publish the way you see it right.